Losvar is doing a pretty good job of knocking itself down, it's looking mighty tired these days. Especially thier boat dock. I haven't heard anything about overhead at Clinton (even just grumbling) since it was removed from the plans during the terminal rebuild in the late 90's early 2000's. Moseley's weekly update today provides further confirmation that it will be Cathlamet going to the Triangle route, the current date scheduled for the change is fall 2014 it appears. 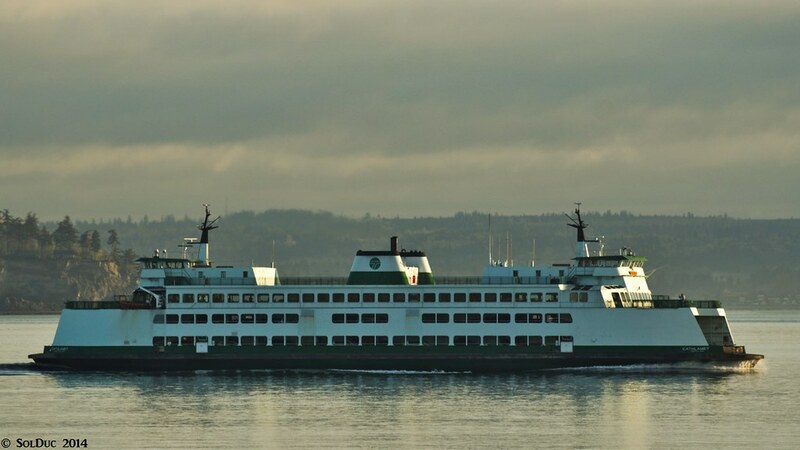 That makes sense, if Tokitae joins the fleet in the summer, Cathlamet would be kept in standby until any kinks with the Tokitae are worked and that would hopefully be done by the time fall comes around. She will replace the Klahowya (not a surprise). It would be great to see Cathlamet not sit completely idle and work during the summer as an extra boat during "peak" service periods on say Edmonds/Kingston or in the Islands on the holiday's. I'm disappointed to see a 144 apparently going to Mukilteo where I think the extra capacity will be wasted for now. It would be great to see Cathlamet not sit completely idle and work during the summer as an extra boat during "peak" service periods on say Edmonds/Kingston or in the Islands on the holiday's. Yes, please send the Cathlamet to Kingston as a third vessel! 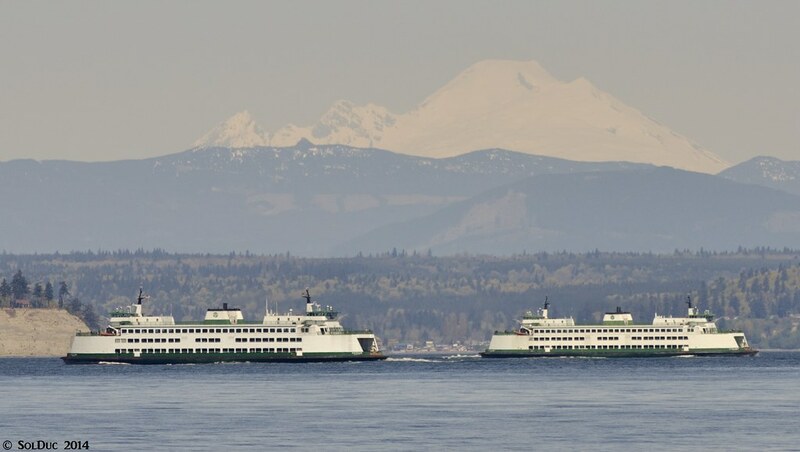 That route definitely needs more capacity in the summers; often the wait times at Kingston on Sundays can be upwards of 2 hours, as opposed to only a 1-hour wait for the Bainbridge-Seattle route. I'm disappointed to see a 144 apparently going to Mukilteo where I think the extra capacity will be wasted for now. I agree with you. The 144's added capacity will be better utilized once WSF rebuilds the Mukilteo terminal. I'm surprised they aren't planning on changing the schedule to accommodate the increased loading time for an additional 20 cars. Even with two Issys on the route, there isn't enough time to load the boat to capacity and still remain on schedule. I thought that at least for now, it would make more sense to send the Tokitae to Bremerton to replace the Kitsap, who would be sent to the triangle route instead of the Cathlamet. On the first point, I agree that an extra boat would be needed at Kingston but another solution would be to promote Bremerton more as gateways to the Olympic (and Kitsap) peninsulas. Especially if WSF gets smart and put a Super and a Jumbo in the summer. Wonder why I don't list Bainbridge in there? Because WSF doesn't even send any more alerts about waits at Seattle on weekday evenings. There's pretty much a 1 boat wait Mondays-Thursdays and 2-3 boat waits on Fridays, year round. On the second point let me remind you that Mukilteo-Clinton is not a one-way route. There are also people coming from Clinton, and that's where the capacity will be used. First of all, I don't know if promoting Bremerton as the gateway to the Olympic and Kitsap peninsulas would really cause people to alter their driving route. 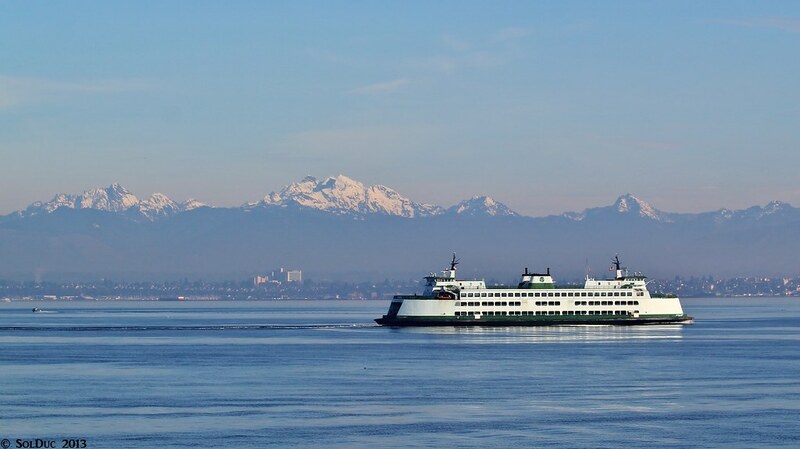 Logically, the Edmonds-Kingston route is the most direct way to get to the Olympic peninsula because the Hood Canal Bridge is on the north Kitsap peninsula. That will always be so if you live in North Seattle like I do. Second, yes, the extra capacity will definitely be used at Clinton, but I don't know how much it will help at Mukilteo without a new terminal. Ok, I was aware that E-K was the most direct route for people living north of DT Seattle, but I don't think that everybody right there. One of the main reasons why people use E-K is because, like you said, of the HCB right next to it but also because they think that they'd go faster using I-5 to go north than 3/305 on the Kitsap peninsula. Most of the time that is true but definitely not on Fridays. But after all I really don't care what people do...if I'm riding Edmonds-Kingston it's as a footie and if we need to go over to the peninsula with a car we'll always go via Bremerton... at least with everybody at E-K we can have a spot there. Try it next time you go over to the peninsula, it works and will get you there faster than E-K, even coming from N. Seattle. Cathlamet had a close call with a fishing boat this morning that failed to respond to radio calls and the horn and was not using AIS. Some pics of the Cathlamet on a sunny November day, the 24th to be exact. Photos were taken from her longtime running mate, the Kittitas. A moment later: the rest of the Cascades in a dramatic background. Almost ready for ski season! And yes, those buildings are part of Downtown Everett. The Cathlamet's horn, getting blown the right way (with a slightly too short long blast though) upon arrival at Mukilteo on April 8th, 2014. The best thing? I'd ridden that ferry the same day a year earlier! With a slightly too-short long blast? That's a matter of opinion. While it isn't as long as some (according to my captain, mine sounds like the whistle signal for "fire on the car deck"), each officer's landing signal is as unique and distinct as their signature. Some go longer, some go shorter, the pause between the long and the shorts--or indeed, just the shorts--is a whole new field of study. Once upon a time I could identify a few officers by their landing whistles. Nowadays, it seems very few even sound them. I have a question Barnacle. Is there a policy or any regulation in regards to the sounding of a given vessels' horn on any route upon approaches or departures, or is it left to the discretion of the captain. I ask this because as a youth, I remember the horn was used almost all the time. 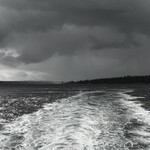 I lived on Vashon as a child, then we moved to West Seattle later. This was back in the 60's. 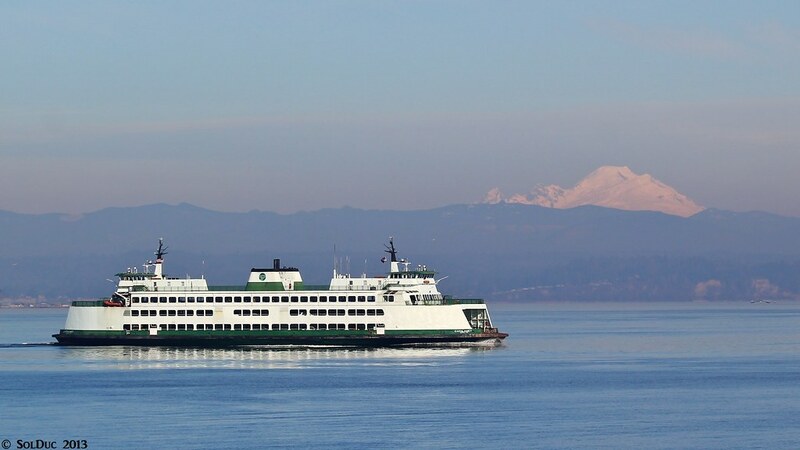 I seem to remember a very local group of citizens living in the Fauntleroy area that made a big stink about the horns let alone having the ferry dock there at all. I still think that group may attend meetings about the Fauntleroy route but now they no longer hold meetings in West Seattle concerning that run. 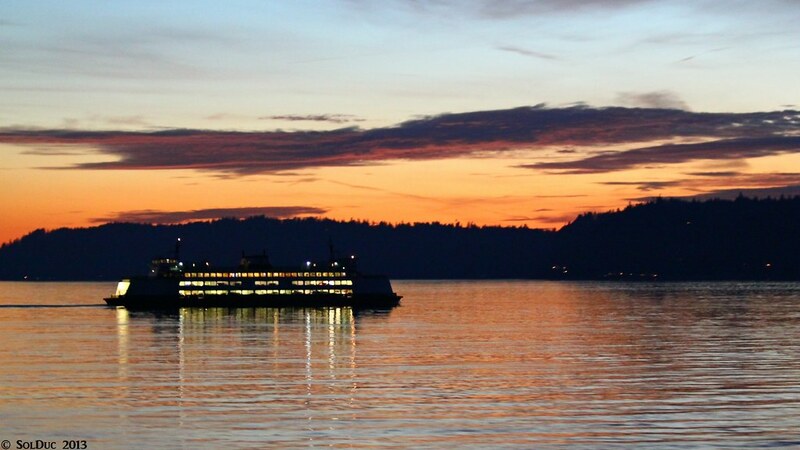 I know that a lot of Fauntleroy residents hate the ferries being there. But something I can't understand is why the heck they moved there when the ferry dock is there since at least the '40s. I mean, if you don't want the ferries, don't move there. As for horns, I think that Fauntleroy is one of the communities that hate them most. At lots of other terminals the neighbors don't complain. 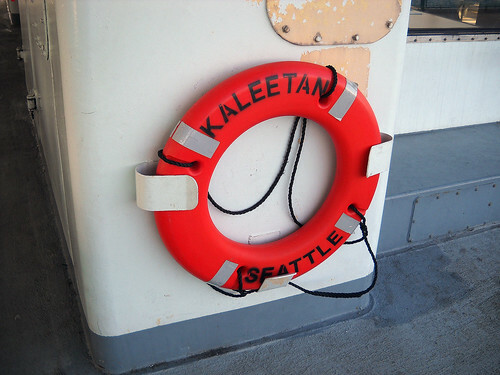 I was on the Issaquah last month and I asked (read: gestured) for a horn blow, and the crew wouldn't do it. But on the Tillikum on the way to Vashon they did. As Sol Duc pointed out, there are very few, if any, residents left from the era prior to a ferry dock in a given location. The last docks to move were Sidney and Anacortes in 1960, I think. And Harper (to Southworth) in 1958. The ferry dock shouldn't be a surprise. I've heard stories of neighbors complaining about the noise, only to be reminded that the navigation rules outranked them. That being said, I personally take some consideration as to the time of day before sounding off. Usually not before 9 AM or after 8 PM. The whistles have largely died out as a result of the prevalence of handheld radios between the boats and docks. The whistles come in handy when there's a radio comms problem, though. The whistles come in handy when there's a radio comms problem, though. I have some great pictures that I took of the Cathlamet, how do I post them? I heard on the news a few minutes ago, the Can't-land it was overloaded and developed a list. She had to return to the dock and is currently 40 minutes behind schedule. 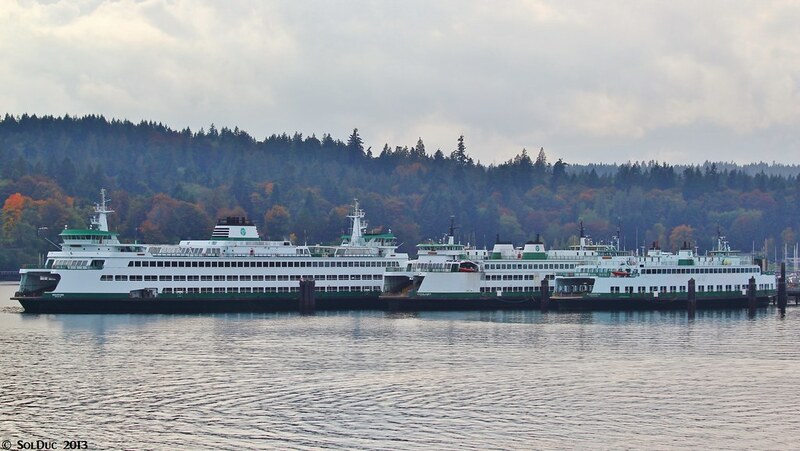 BREMERTON — The 4:20 p.m. sailing of the ferry Cathlamet had to return to the Bremerton ferry terminal after it was discovered that too many passengers had been allowed on board. 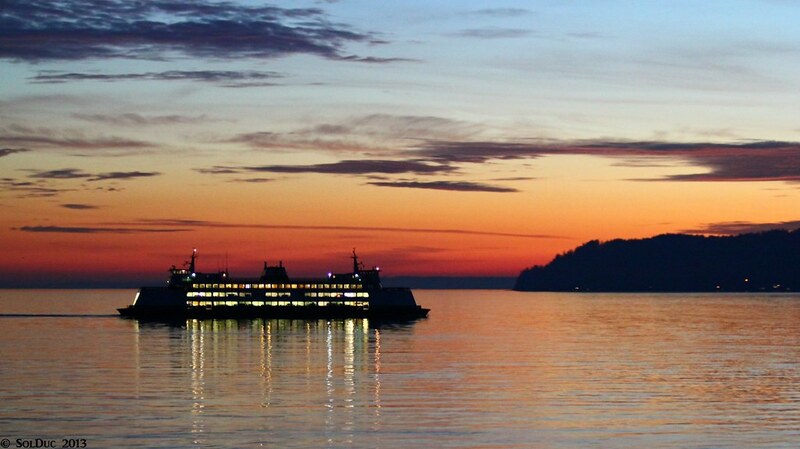 Washington State Ferries crew members asked for volunteers to get off the boat to get it down to capacity. But with many passengers heading over to Friday's Seahawks game, riders were slow to volunteer. 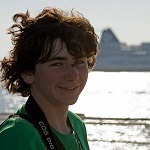 It was not immediately clear why WSF didn't know too many people were on the boat before it sailed. 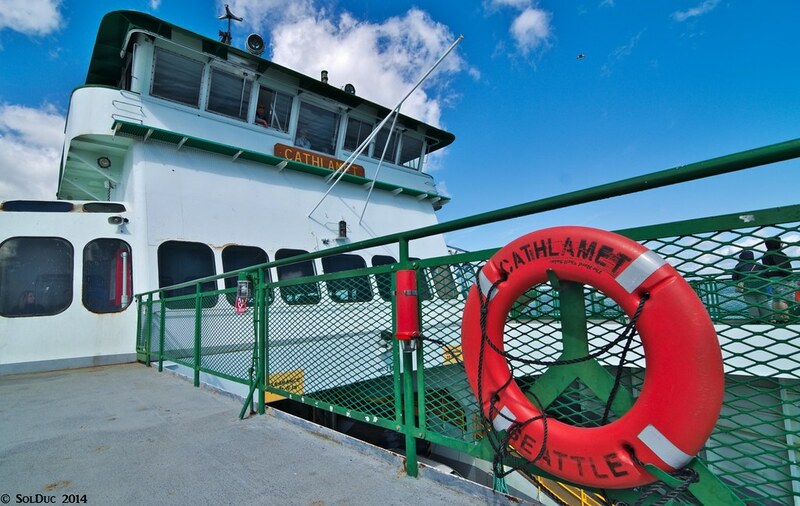 The Cathlamet carries 1,200 passengers, fewer than the normal capacity for a Bremerton-Seattle ferry. This makes me very angry with WSF. Angry for how they dangerously overloaded the vessel, and angry with their overall treatment of Bremerton. The route is ALWAYS short on capacity. Why can't they put an Issaquah in the SJI? Hm, gee, it's last year all over again - same thing happened when the Seahawks were entering the playoffs. All I can say is - I saw this coming from a mile away. Really, WSF, really? Someone forgot the capacity of the boat. I guess Steve was right all along about this being a problem; I'm actually surprised that this hadn't happened already. That boat must of been really packed if it was like 400+ people over the limit. And they dident know this before they left the dock?? I wonder how they realized this?? The news story link on our WCFF facebook page explains how. Fog was not involved. who said anything about fog??? That would have nothing to do with this incident, lol! I cant imaging 1600 people on those boats. I cant even imagine 1200 seems a lot.